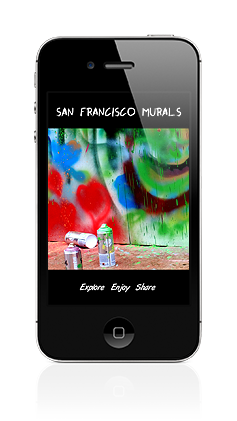 This SF Murals iPhone app is a fun and easy way to explore and enjoy San Francisco's murals. Find murals plotted on the interactive map of the city, browse the collection, enjoy up-close image details, learn about artists, and share your finds with others. The app features optimized images for iPhone Retina displays and is compatible with iPhone 3GS, iPhone 4, iPhone 4S, iPhone 5, iPod touch (3rd generation), iPod touch (4th generation), iPod touch (5th generation) and iPad. Requires iOS 5.0 or later.